Smell the flowers and visit the world’s largest spring garden in the world. Enjoy the abundance and perfume of more than 7 million bulbs in bloom! Benefit of direct and easy travel from Amsterdam centre to Keukenhof in just 55 minutes. Sit back, relax and enjoy the comfortable bus ride, while admiring the typical Dutch landscape. Bypass the queues upon arrival and visit at your own pace! 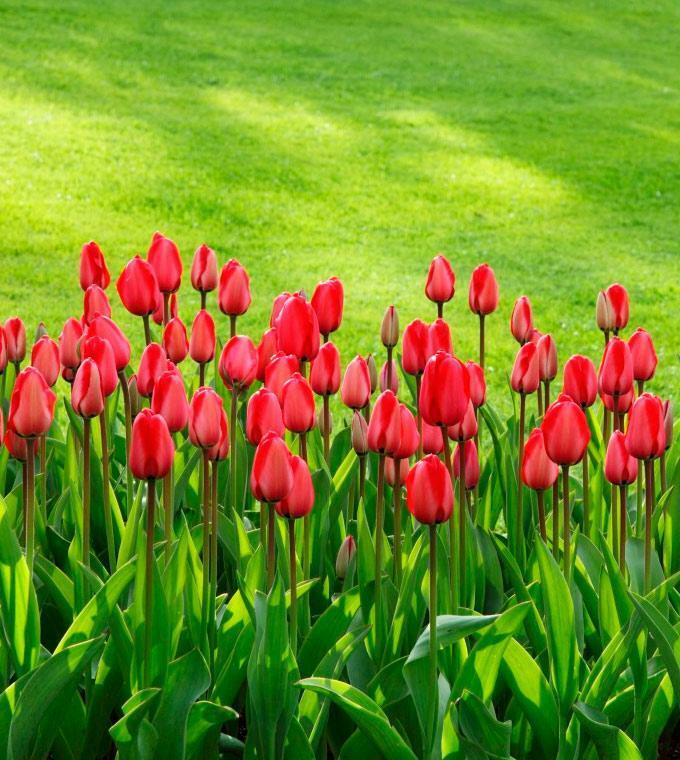 Hop on the comfortable bus and enjoy hassle free and efficient travel from Amsterdam centre to Keukenhof gardens. During your trip you can listen to the audio guide offering information on Dutch history, the landscape and interesting details on why Holland is so famous for its flowers. Upon arrival, you can bypass the queues and benefit of fast track entry. This will give you extra time to visit the impressive gardens of Keukenhof. Visit at your own pace and make sure your camera has enough battery to capture those memorable flower photo’s! The bus offers frequent departures back to Amsterdam. Benefit of flexible travel to one of Holland’s best known icons. A wonderful holiday memory! The departure point is located at A’DAM Lookout. This is situated opposite Amsterdam Central station along the IJ river. Please take the free ferry from Central station to the opposite side, direction: ‘Buikslotermeer’. This is only a 3 minute boat trip. From here it is a just a 1 minute walk to the A’DAM Lookout. Daily departures from March 21 – May 19 . From 9.00 h every 30 minutes until 14.30 h.
Please show your Hop on Hop off Keukenhof bus ticket for your return trip to Amsterdam. The voucher is only valid on the day of the stamp.